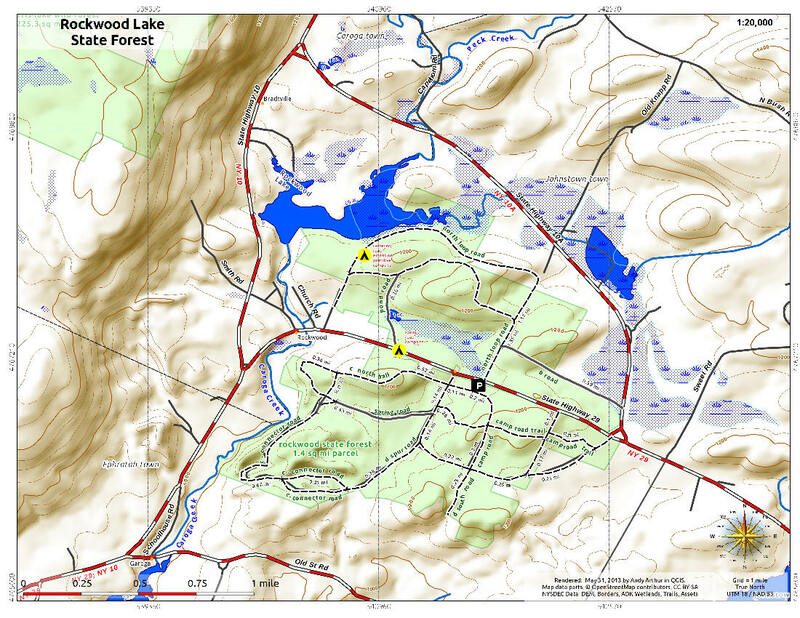 The 858 acre Rockwood State Forest is located in Fulton County just south of the Adirondack Blue Line between NY 29, NY 10A and NY 10. There are nearly five miles of old roads that are used for cross country skiing in the winter as well as hiking the rest of the year. The main feature of this state forest is the scenic Rockwood Lake, located off the North Loop Road Trail.